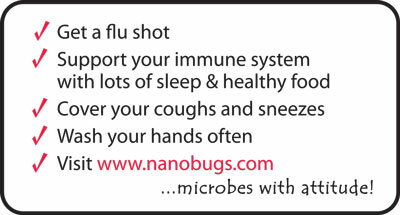 nanobugs® | Say, “Boo” to the Flu! This Halloween give your neighborhood goblins a tattoo “treat” with a message. These spooky temporary tattoos are non-toxic and Made in the USA. 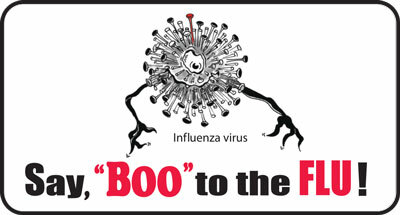 Each tattoo comes in a small zippered bag with tips for flu prevention. A “sweet” alternative to candy that’s guaranteed to please goblins of any age that come to your door.